Rothschild's giraffes are one of the most endangered animals on the planet. Previously, it was thought that giraffes ranged widely, and in great numbers, across Africa. New research indicates that the nine subspecies of giraffe are more genetically differentiated that anyone suspected, and that some subspecies may warrant species status. This fact, combined with the evidence of declining populations, makes the need for protection of this species an urgent matter. With just 1,100 individuals remaining in the wild, there are fewer Rothschild's giraffes than giant pandas, and yet there is virtually no awareness of their need for conservation efforts. 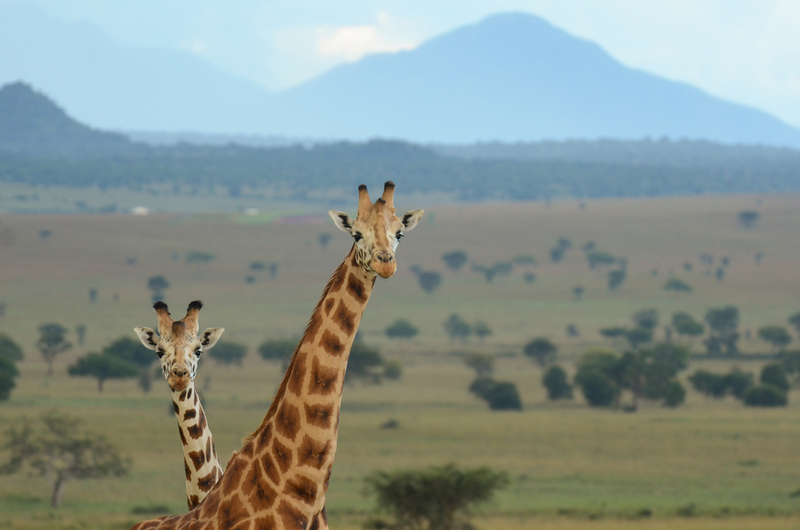 The Rothschild's giraffes in Kidepo Valley National Park are of particular interest as they make up the smaller of the two populations of Rothschild's giraffes remaining in Uganda. The 54 "Kidepo giraffes" are faced with the main threats of poaching, habitat encroachment, and genetic isolation. Approximately one million people live in the Karamoja region of Uganda, and almost 80% of them are living below the poverty line and therefore food insecure. Giraffes are an attractive target for poaching due to the amount of meat that can be gained from a single bullet - providing food for the entire family as well as meat leftover to be sold for profit. Giraffe meat and hides are among the highest valued products on the black market in this region. Extensive cultivation of land by the people of the region has degraded the habitat so that native animals are no longer found outside the national parks and reserves. The giraffe population that currently resides in Kidepo Valley National Park is genetically isolated as a result, with numbers too small to provide the genetic diversity required for long-term sustainability of the population. The first steps for C4K are to work with partners to perform a census and database of the giraffe population in the Park. This will help us to follow population trends in the coming years, and to aid in management decisions.